PROVIDENCE, R.I. -- The Providence Grays vintage base ball club (10-4) will reconvene on the Bristol Town Common on Saturday, June 16, after a tough road trip to New York and New Jersey last weekend, where they finished 1-3 over two days. 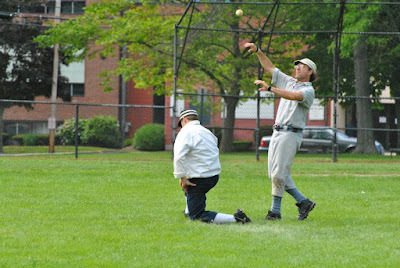 Providence will face off against the Bristol Blues for two matches, one following the rules of 1864 and another by those of 1871. 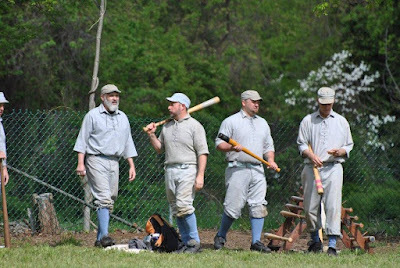 Held every June, the vintage games on the town common are a part of the Bristol Fourth of July Committee's festivities leading up to the oldest continuous Independence Day parade that's held in town every year. Saturday's events will begin at 11:45 A.M. with pictures taken of this year's pageant winners and participating players, as well as a ceremonial first pitch. The games are set to begin at twelve noon. The whole family is welcome to come out and enjoy the anticipated fair weather. Free hot dogs, chips, and water will be available. We hope to see you there.